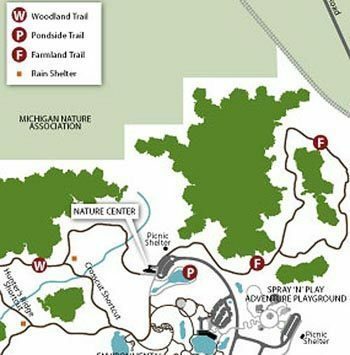 This short trail begins on the south side of the park office and skirts a small pond with observation areas. It’s surface is asphalt, capable of handling wheelchairs. At one point you cross a bridge where often frogs can be seen in the quiet edges of the ponds. 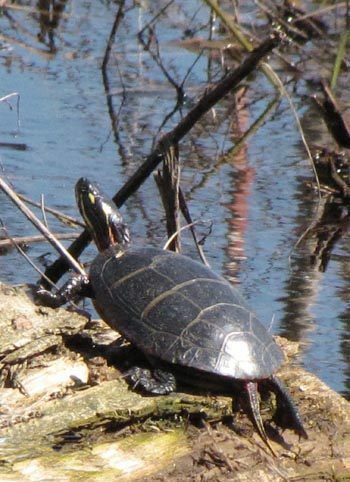 Other wildlife that can be spotted are turtles, usually sunning themselves, and occasionally water snakes.